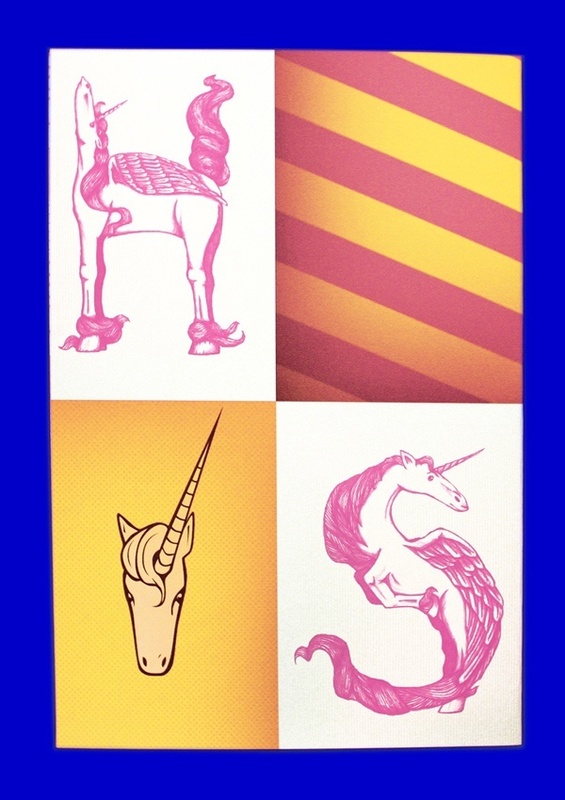 The Unicorn-Pegasus letters are a development of the Unicorn font. 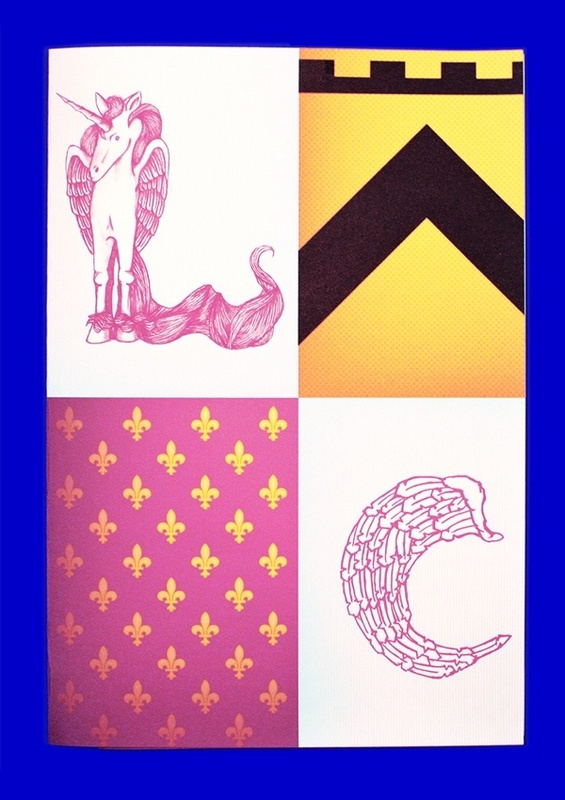 This series of initials is extremely detailed and unlike the Unicorn Font no shapes have been cut. Each Unicorn-Pegasus is complete, from the tip of the horn to the far end of the tail. 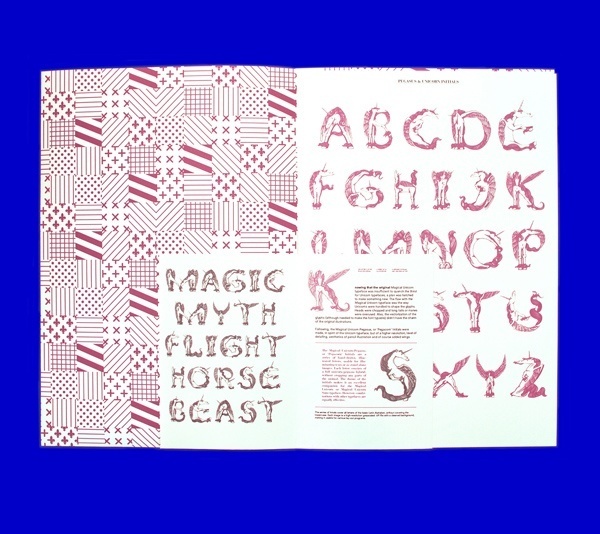 This promotional publication for the Pegacorn Initials is illustrated with the initials themselves and heraldic patterns based on 16th century hatching. It provides an insight on how the initials can be used. The publication contains multiple elements, from a booklet to a series of posters. The Unicorn-Pegasus letters are a development of the Unicorn font. With the translation of the original drawings to the usable Unicorn font, many details disappeared and the hand-drawn character was lost. This series of initials is extremely detailed and unlike the Unicorn Font no shapes have been cut. Each Unicorn-Pegasus is complete, from the tip of the horn to the far end of the tail.